America’ famed Northeast Corridor is, of course, first and foremost about hauling people. But tonnage, too, plays a role on and around the “NEC” and throughout sprawling New York City. 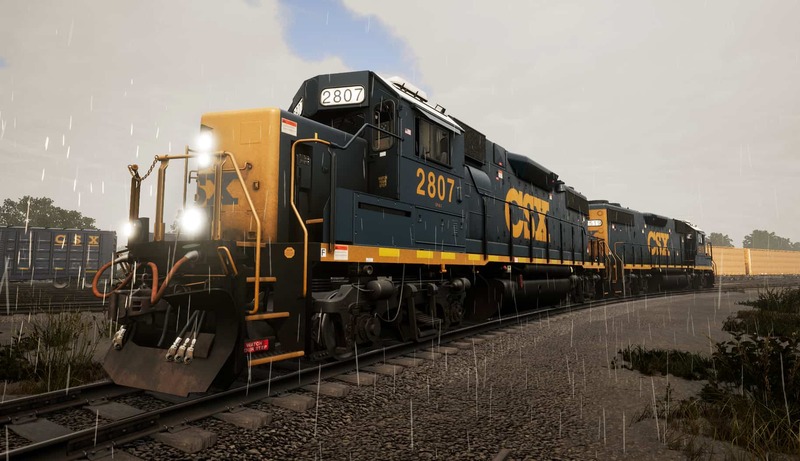 So, let’s take a look at the diverse freight operations that await in the upcoming Train Sim World “Northeast Corridor New York” route. 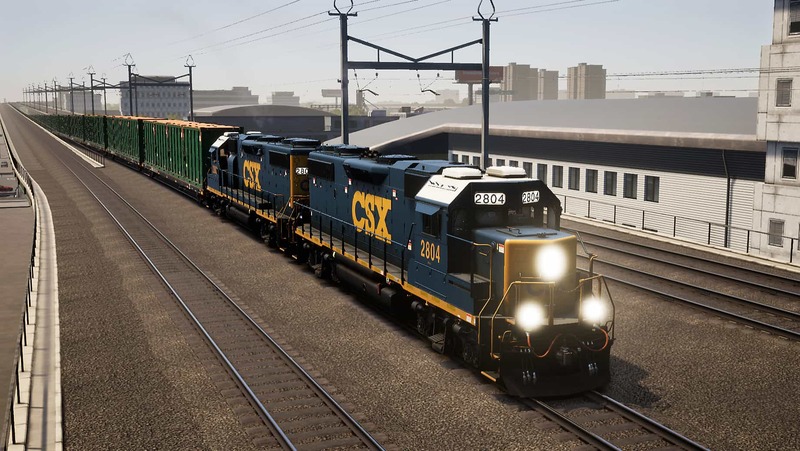 Freight operations as featured on the upcoming Northeast Corridor New York route are operated by eastern railroad giant CSX and are centered from the railroad’s large Oak Point Yard in the New York City borough of the Bronx. Located adjacent to Amtrak’s Northeast Corridor just north of the famed Hell Gate Bridge, Oak Point Yard was, for much of its history, the major New York City yard of the New Haven (NYNH&H) Railroad. Ownership and operations of Oak Point changed in December 1968 when New Haven was merged into Penn Central, and then again in 1976 when Penn Central was absorbed into Conrail. Finally, when CSX and Norfolk Southern acquired portions of Conrail in 1999, Oak Point became a CSX property. 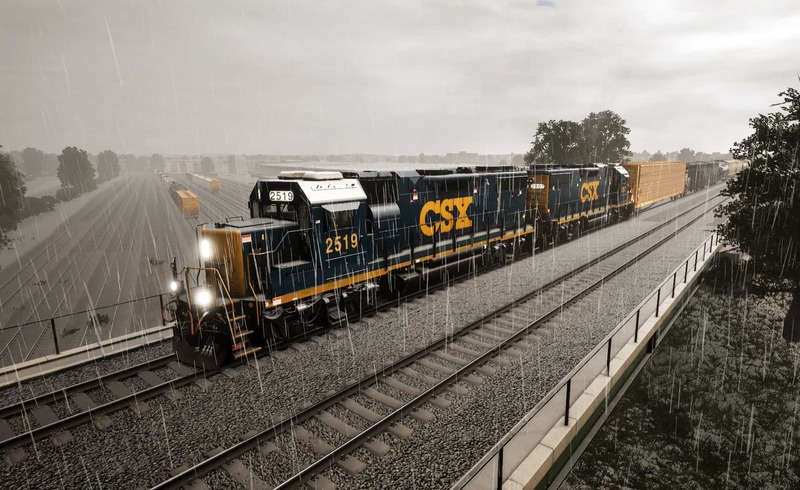 Oak Point is the cornerstone of CSX freight operations on the east side of the Hudson River. Via Oak Point Yard and the Oak Point Link along the Harlem River, CSX road freights to and from Selkirk, New York operate on the Metro-North/Amtrak Hudson Line. Oak Point is also the point from which yard and transfer crews handle nearby Harlem River Yard and its busy Waste Management facility and the Hunts Point complex, home to New York City’s Hunts Point Cooperative Market and CSX’s adjacent TRANSFLOW transloading facility. And it is from Oak Point Yard that freight transfer runs make the climb up and over Amtrak’s Hell Gate Bridge to reach CSX’s Fremont Secondary (or Fremont Industrial Track) to reach the Fresh Pond Yard of the New York & Atlantic Railroad in the borough of Queens. Also located near Oak Point Yard (in this case slightly north and framed by the East and Bronx Rivers) is Hunts Point, home to the largest fresh produce terminal and market in New York City as well as a CSX TRANSFLOW transloading facility. CSX crews and switching runs operating from Oak Point Yard frequently move cars to and from Hunts Point, handling switching in the close and bustling confines of the large terminal complex. CSX’s Fremont Secondary (also known as the Fremont Industrial Track) provides an important link between the CSX system and railroad customers in Queen and on Long Island. From Oak Point Yard, this freight link utilizes a non-electrified line up and over Amtrak’s Hell Gate Bridge then, at Bowery Bay (or Sunnyside) Junction, leaves the NEC right-of-way to proceed through Queens to Fresh Pond Junction and eventually to Bay Ridge in Brooklyn. This was historically the New York Connecting Railroad owned jointly by the New Haven and the Pennsylvania Railroad. Today its most important role is as an artery connecting CSX to the regional New York & Atlantic Railway (which provides freight service on the Long Island Rail Road system) at Fresh Pond. 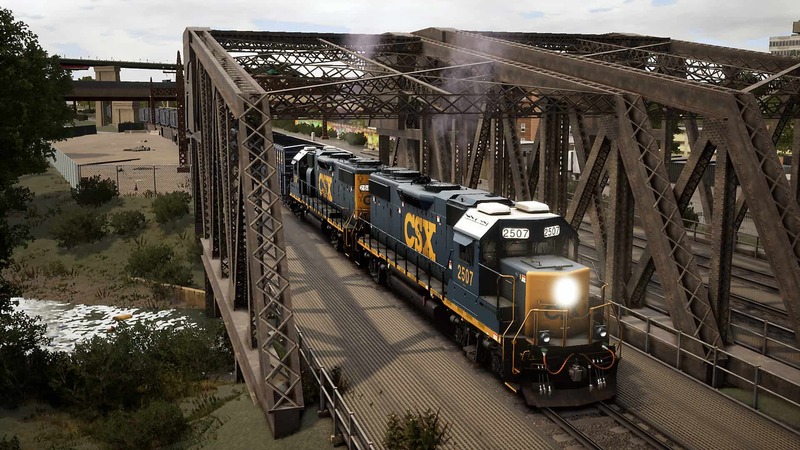 Interchange point between CSX and the NY&A, Fresh Pond Junction and yard are included, along with the Fremont Secondary connection, in the upcoming Train Sim World Northeast Corridor New York route, proving the opportunity operate freight tonnage up and over the massive and inspiring Hell Gate bridge. 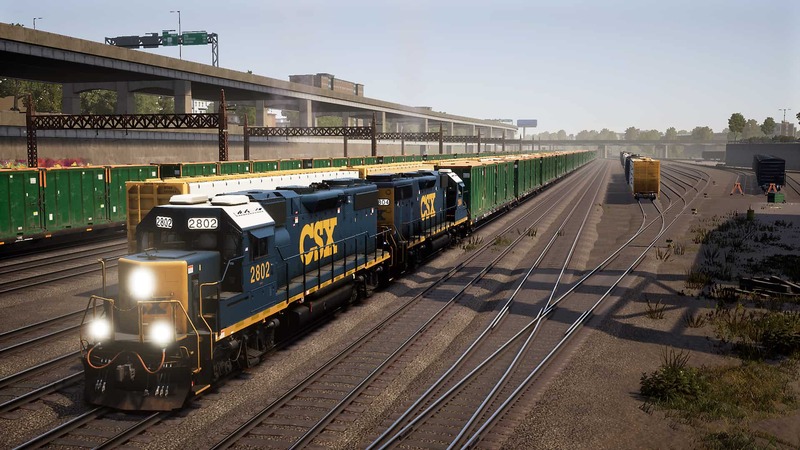 Providing the horsepower to move tonnage over the Northeast Corridor New York route will be the versatile and venerable CSX Electro-Motive GP38-2 road-switcher, which will be dressed in CSX’s “YN3” livery. 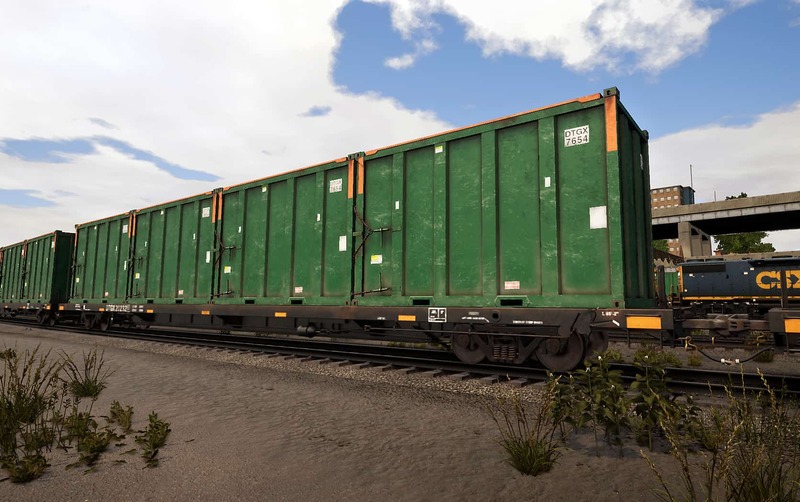 Joining the CSX GP38-2 and trash-carrying flat/container car will be a CSX 50-foot Plate C boxcar, 5201-cubic-foot covered hopper, 30,500-gallon tank car, and 73-foot centerbeam flatcar. 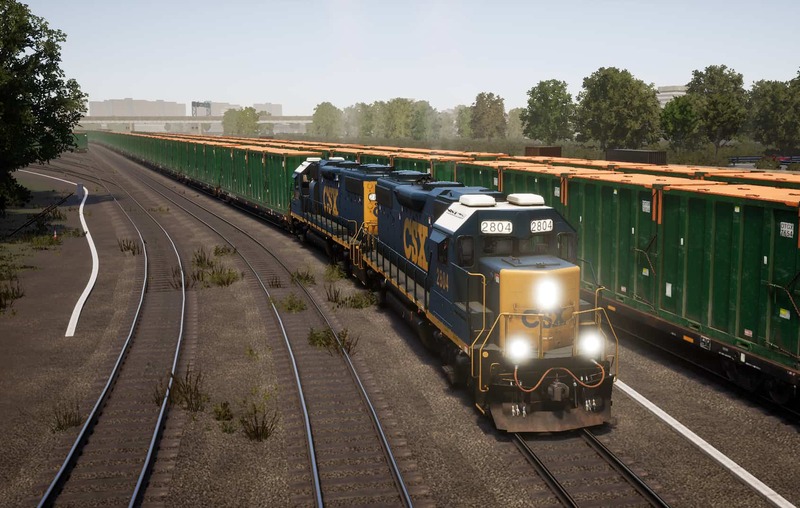 Coming soon to Train Sim World is the Northeast Corridor New York route, featuring Amtrak passenger and CSX freight railroading around America’s “Big Apple.” Cornerstone of CSX freight operations on the route is Oak Point Yard in the Bronx, where CSX EMD GP38-2 2802 and a sister are pulling together a cut of flats loaded with trash containers (above). At the south end of Oak Point Yard (below), CSX GP38-2 2804 is arriving via the line from Harlem River (below). Screenshots by Gary Dolzall. A short distance south and west from Oak Point is Harlem River Yard, home to the large and busy Waste Management Harlem River Transfer Station, which processes and transloads municipal solid waste from trucks to rail. The confines are tight as CSX GP38-2 2804 and a sister work the yard at Harlem River (above), then pull together a long cut of trash-laden flats and containers (below). Note: Screenshots show content still in development. North of Oak Point Yard is Hunts Point, home to the largest fresh produce terminal and market in New York City as well as a CSX transloading facility. 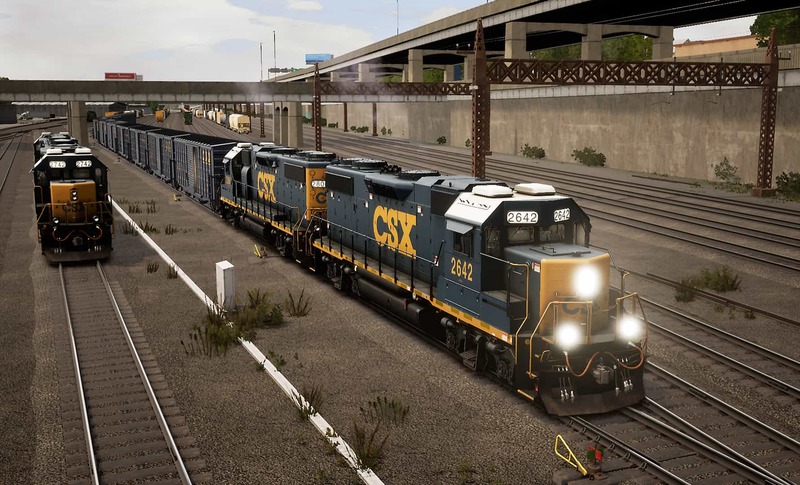 Working alongside the Amtrak main line, a pair of CSX GP38-2s are carefully backing a cut of cars toward the Hunts Point terminal (above), then a short time later work to spot the cars in the sprawling produce terminal (below). 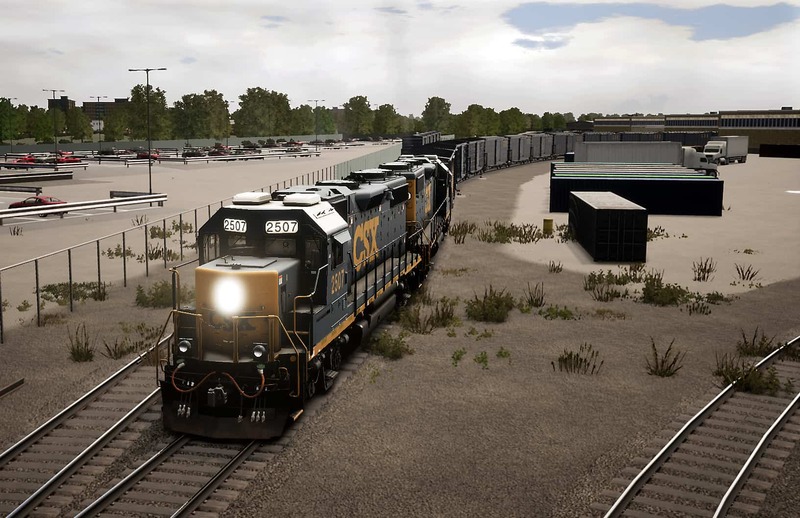 Featured freight motive power for the upcoming Train Sim World Northeast Corridor New York route is the versatile Electro-Motive CSX GP38-2, dressed in the railroad’s “YN3” livery. At Fresh Pond Yard in Queens, a pair of CSX Geeps await duty in the rain. In a downpour, CSX GP38-2 2519 leads the way as a transfer run departs Fresh Pond Junction bound for Oak Point and crosses over the New York & Atlantic’s Fresh Pond Yard (above). 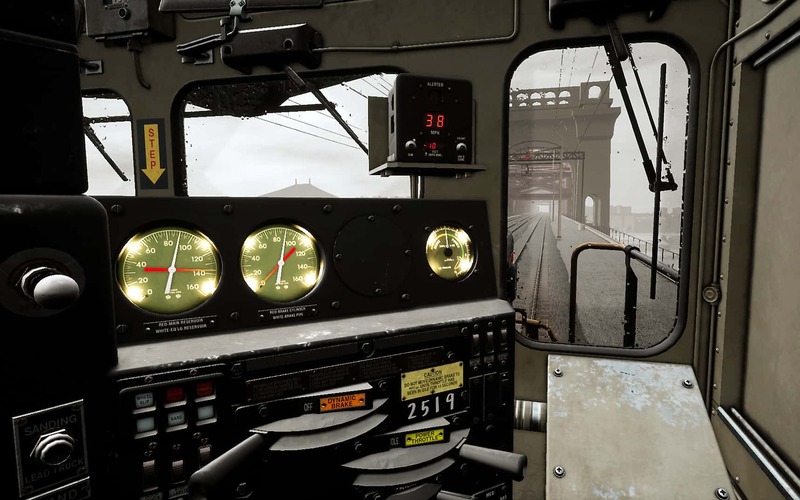 A short time later, as seen from the engineer’s view, the train approaches famed Hell Gate Bridge (below). 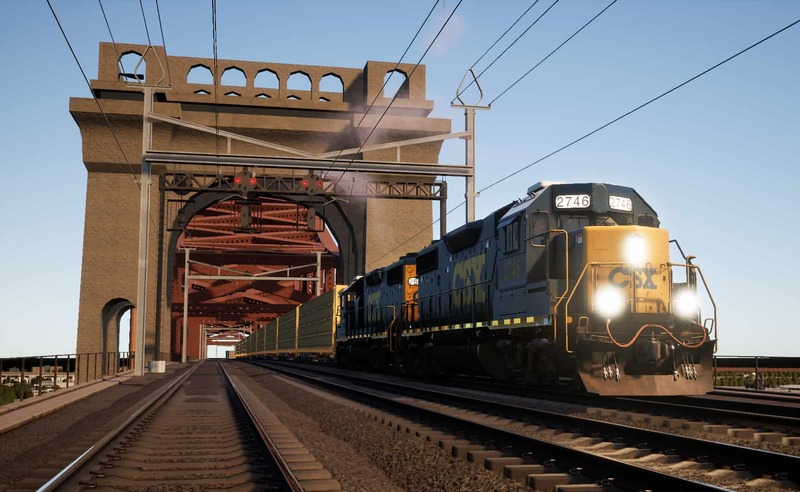 On a sunny spring day, CSX GP38-2s lead a Fresh Pond-bound transfer run over towering Hell Gate Bridge. 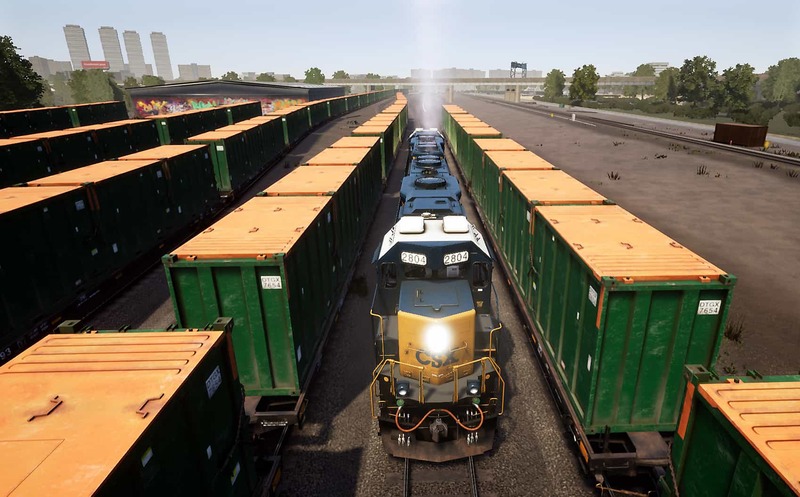 Diverse and challenging freight and passenger railroading is coming soon to Train Sim World – with the Northeast Corridor New York route.